Step 1: Select the license you want to transfer. Choose "Offline" and "Transfer" then select the path to store offline.req. Click "Transfer" to export it. Note: You can select multiple license to transfer them at the same time. Step 2: Copy the offline pack to a PC connect to the Internet and do the transfer. Run "NUUO Offline License Tool". Step 3: When you open the offline tool, it will pop up a message "Can not load request file'. Please click "OK" to skip out it. Step 4: Input the "Offline.req" in Offline tool. The "Activate" button will be changed to "Transfer". 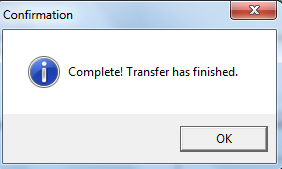 Step 5: Click "Transfer" to transfer the license and it will notify you it it completed.